I was handed this flyer in Central Park this morning, and glanced it quickly before getting ready to toss it. Turns out to be a pretty good deal! Tonight only Gap stores throughout the US are offering 30% off your entire purchase from 6pm to close! 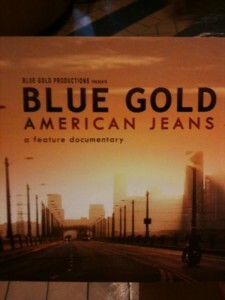 While you are there you can also get a sneak peek of a new documentary about American Jeans called Blue Gold, a 30 minute documentary on, you guessed it, Blue Jeans. Call ahead to make sure that your local Gap is participating.